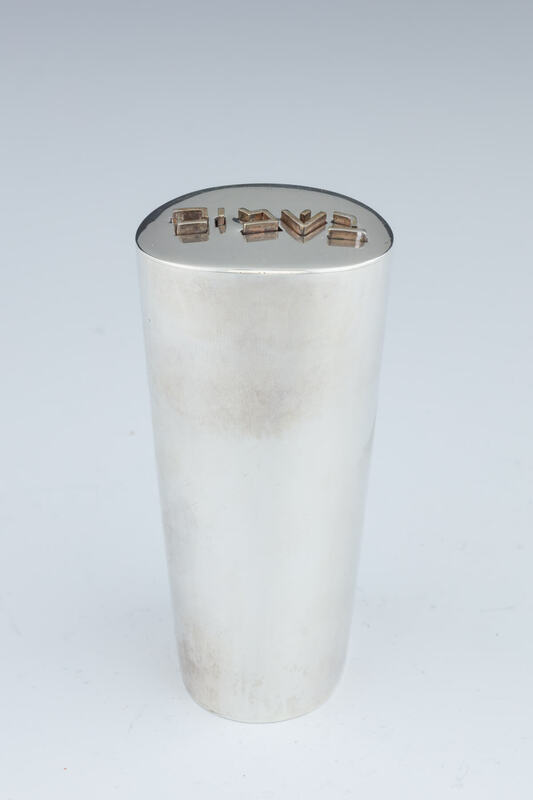 A SILVER SPICE CONTAINER BY MOSHE ZABARI. New York, c. 1970. Hand crafted in the Tobe Pascher Workshop. Modernist shape. With the top pierced “Besamim” that opens when lifted. Marked. 3.3” tall.